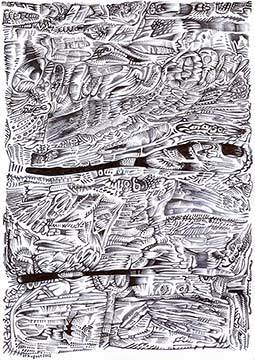 Mr. Felberbaum draws minutely detailed illustrations using ball-point pen and pencil on 9" x 12" paper. He is also currently translating "Inquiries" by Herodotus. Sale of his artwork funds this project.